With so many temples in the world, new temple presidents are frequently called. This time, Lima, Peru; Kyiv, Ukraine; Curitiba, Brazil ; and Anchorage, Alaska are among those that will receive new leadership in the upcoming months. The First Presidency recently sent out two news releases calling six new temple presidents then calling another eight. Luis García Dávila, 68, Sarco Ward, Cochabamba Bolivia Cobija Stake, called as president of the Cochabamba Bolivia Temple, succeeding President Jay E. Jensen. President García’s wife, María del Rosario Villarroel Ayala de García, will serve as temple matron, succeeding Sister Lona Jensen. Brother García serves as the first counselor in the Cochabamba Bolivia Temple presidency. He has served as a second counselor in that temple’s presidency, stake president, bishop, branch president, mission presidency counselor, and high councilor. 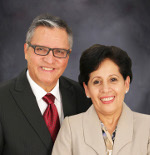 A retired coordinator for the Church Educational System, he was born in Cochabamba, Cercado, Bolivia, to José Lisimaco García Encinas and Angela Dávila Mariscal. Sister García serves as an assistant to the matron of the Cochabamba Bolivia Temple. She has served in a stake Relief Society presidency, as stake and ward Primary president, and as ward Relief Society president. She was born in Cochabamba, Bolivia, to Alejandro Villarroel Panoso and María Teresa Ayala Loza. Read more about the first six temple presidents called. 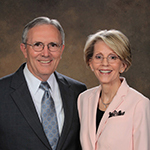 David Heber Crane, 68, Visalia 1st Ward, Visalia California Stake, called as president of the Fresno California Temple, succeeding President Jerry E. Callister. President Crane’s wife, Jeanette Linford Crane, will serve as temple matron, succeeding Sister Kathryn R. Callister. He is first counselor in the Fresno California Temple presidency. He served as president of the Puerto Rico San Juan Mission, stake president, bishop, and stake Young Men president. Oral and maxillofacial surgeon. Born in Murray, Utah, to Leonald Heber and Lyla May Butler Crane. Sister Crane is an assistant to the matron of the Fresno California Temple. She served with her husband as he presided over the Puerto Rico San Juan Mission. She served as stake and ward Relief Society president, stake Young Women presidency counselor, ward Young Women president, and ward Primary presidency counselor. Born in Glendale, California, to Raymond Hodges and Wanda Ball Linford. 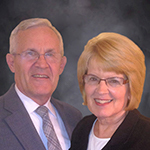 Darrel Keith Danielson, 70, Bartlett 2nd Ward, Memphis Tennessee North Stake, called as president of the Memphis Tennessee Temple, succeeding President James E. Griffin. President Danielson’s wife, Linda Jean Stay Danielson, will serve as temple matron, succeeding Sister Marlena Griffin. He is first counselor in the Memphis Tennessee Temple presidency. He served as stake president, bishop, mission presidency counselor, high councilor, and senior missionary. Retired financial adviser for FedEx. Born in Minneapolis, Minnesota, to Carl Alfred and Wenonah Claire Danielson. Sister Danielson is an assistant to the matron at the Memphis Tennessee Temple. She served as stake Young Women president, stake Relief Society presidency counselor, senior missionary, and temple ordinance worker. Born in Pasadena, California, to Jesse Eldred and Helen Lela Valantine Stay.